Toronto Airport Taxi is a great airport taxi service company providing Collingwood Airport Taxi Services for Collingwood and surrounding communities, offering full service Airport Transportation to and from Toronto Pearson International Airport, Lake Simcoe Airport, Toronto City Centre Airport, Downsview Airport and other Toronto regional airports. It doesn't matter whether it's a trip to the airport you need from Collingwood or a magical evening out on the town, we want to make sure you are so comfortable and pleased that you book with us again and again. That means your every need is our top priority. Don't drive to the airport... book our Collingwood Airport Taxi! You'll travel in luxury and avoid the hassle of parking garages and battling traffic. Be sure to check out our great one way flat rates for a Taxi to the Toronto Airport from metro Toronto and the GTA. 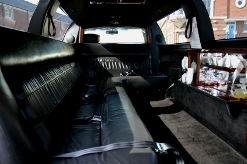 Collingwood Airport Taxi also offers limousine services for special events such as Weddings, Proms, Stags, Casino trips, Business Events and nights out on the town within the Greater Toronto Area and Southern Ontario. Our Collingwood Airport Taxi Services can provide luxury limousines for everything from affordable airport transportation to wedding limos, prom and graduation limo rentals to Casino trips. Call Collingwood Airport Taxi by Toronto Airport Taxi the next time you need courteous, professional, reliable luxury airport ground transportation in beautifully maintained late-model luxury limos. Try Collingwood Airport Taxi Service! Our Airport Taxi/Limo/Shuttle service provides Airport Taxi Service to/from Collingwood and the neighboring communities of: Wasaga Beach, Barrie Airport Taxi Service, Newmarket, Toronto Airport Taxi Service, Blue Mountains, Midland, Orillia, Creemore Stayner, Elmvale, Thornbury, Meaford, Owen Sound, Hanover, Walkerton, Mt Forest, Flasherton, Orangeville Airport Taxi Service, Gravenhurst, Shelbourne, New Tecumseth, and Dundalk. Call Us! Our Collingwood Airport Taxi Service would be pleased to offer our airport taxi service to pick you up and shuttle you to/from Toronto Pearson International Airport, Lake Simcoe Airport or Downsview Airport. The Town of Collingwood is an exceptional community and a perfect destination for outdoor adventure and recreation - a fabulous winter and summer wonderland. Collingwood has focused on establishing itself as a four-season tourist area and has become the major recreation area for the southern part of the province. The town has many shops, local business, places of interest and attractions for everyone in the family. 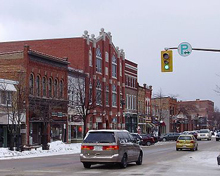 Collingwood, Ontario was incorporated as a town in 1858, nine years before Confederation and was named after Admiral Lord Cuthbert Collingwood, Lord Nelson's second in command at the Battle of Trafalgar, who assumed command of the British fleet after Nelson's death. Choose Collingwood Airport Taxi as your preferred transportation provider for all your business and personal travel needs in and around Collingwood, Ontario. Our Collingwood Airport Taxi Service is always courteous, friendly, professional and reliable. Toronto Airport Taxi also provides Toronto Airport Taxi Service and Barrie Airport Taxi Service.